I have been wanting to get a Settlers of Catan game for ourselves ever since I played it for the first time a few months ago. It looked like an incredibly simple game setup so my girlfriend and I figured it would easy enough to build the game ourselves. Of course, since we were making it ourselves this was a prefect opportunity to make the game theme just the way we wanted. Amid the hype surrounding The Force Awakens, we decided to go for a Star Wars theme. Prepare for the nerdy, folks. There are nearly infinite possibilities provided by the thousands of stories set in the many planetary systems of the Star Wars Galaxy. Not to mention that you can choose from any period in the galaxy's roughly 1 billion year history as your setting*. Needless to say, this leaves you with a lot of choices to make in designing a game's backdrop. 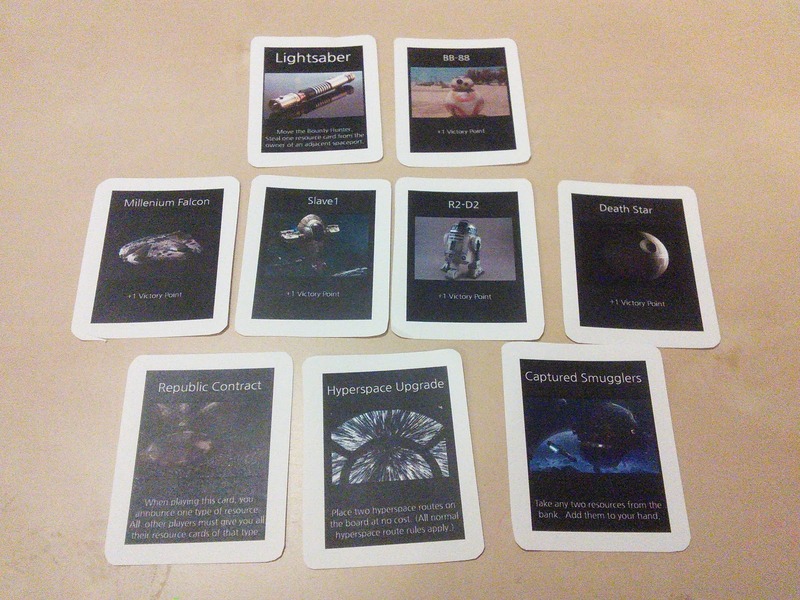 Ultimately, we decided on a theme based on the time period around Episode VII. 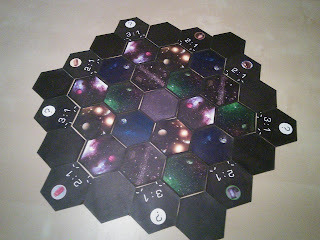 The game is set in the most distant reaches of the galaxy, known as the Outer Rim. The basic premise is that after the fall of the Empire and the rise of the New Republic, new traders and settlers will try to expand the influence of the Republic to systems in the so called Outer Rim. I think this is a fairly reasonable concept, and it steers the game's focus away from more established periods of Star Wars Canon. The gameplay is still exactly identical to the original Settlers of Catan. Only the names and faces of the cards have been changed to reflect the new storyline. 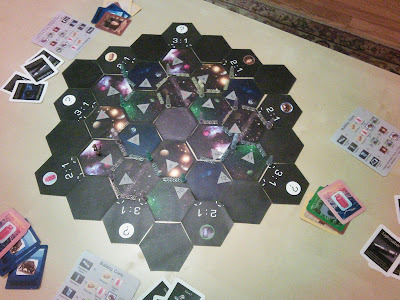 When we play it, I like to kind of pretend we're really in this storyline with its grand theme of galactic economics. You're a galactic pioneer of the New Republic, looking to find new resources in the Outer Rim of the galaxy. The main hurdle for trade in this sector is the establishment of new and secure hyperspace routes, landing pads, and space stations. Of course, for such a lucrative opportunity there's obviously a lot of competition. 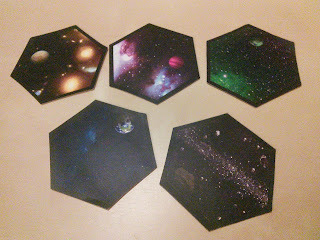 Your challenge is to reach economic dominance of the Outer Rim before any of your opponents. 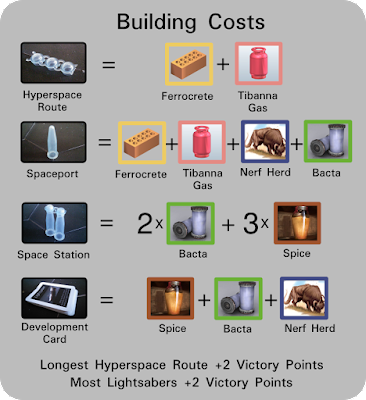 To build your hyperspace routes and resupply stations you'll need to extract resources from the star systems in this region. You can also trade with the Bank of the New Republic or you can look for better deals with smugglers at the edges of the galaxy. In addition, to help you control more territory, you can also invest in development of your trade network. These investments can pay off with exclusive Republic contracts, captured smugglers, free hyperspace routes, or any of a number of valuable ships and droids. Finally, you can also attain abandoned lightsabers, which help you gain influence over a confederation of Outer Rim bounty hunters. 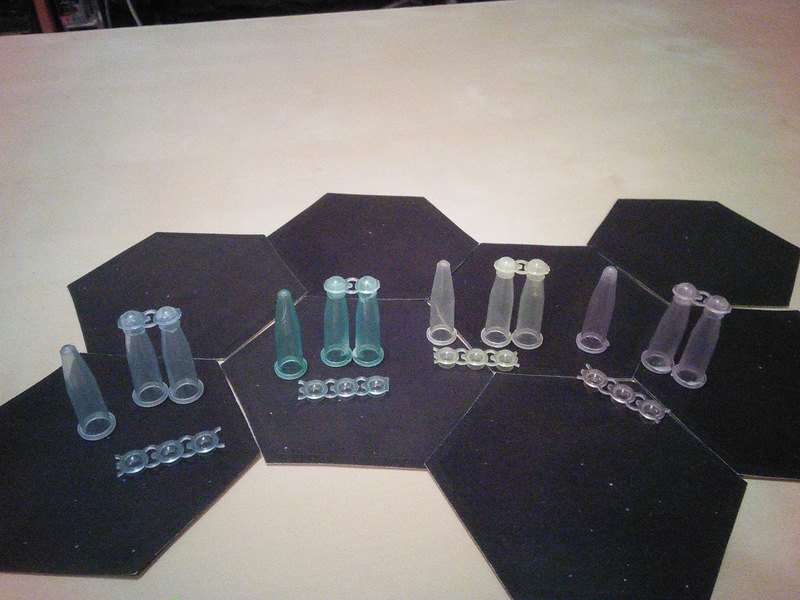 At each turn, you roll a dice to find out which systems have resources ready for extraction. Then you proceed to trade, or to purchase equipment and development cards. 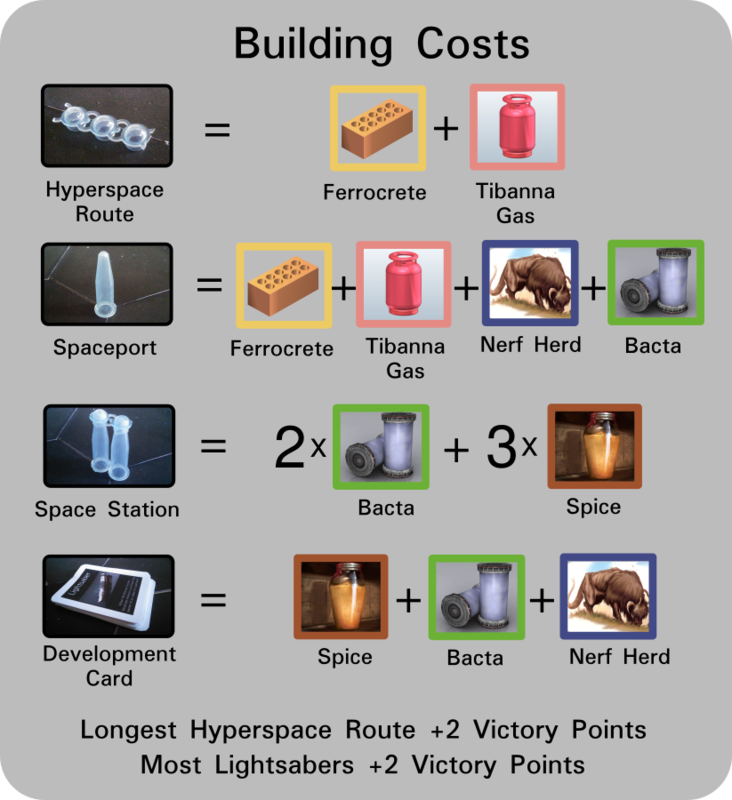 For every space port or space station you will receive 1 or 2 Victory Points, respectively. The Republic will reward you with extra points if you provide the longest hyperspace route, or if you recover the largest number of lost lightsabers. The game ends when one player attains 10 Victory Points. As mentioned above, the gameplay follows the original Settlers of Catan rules. 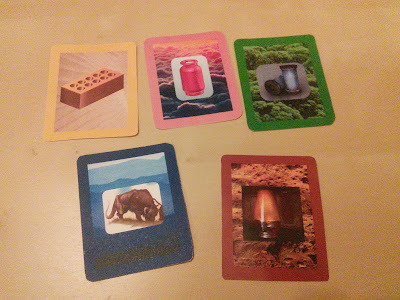 If you've played Settlers before, you'll see the parallels immediately. Otherwise I suggest this video to get you more acquainted with how to set up and play. If you like the idea of the game and would like to recreate it for yourself, we've put the svg files on the MakeLofT Github. 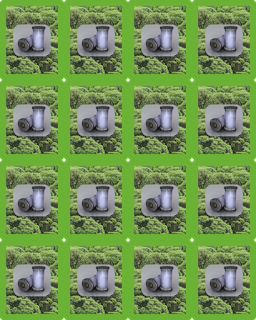 I've just embedded all the images directly and I haven't rerasterized or compressed anything so some of the files are a little big. Hope you have fun if you put it together, and may the Force be with you. *I know that the possibilities have technically been drastically slashed by Disney's decanonization of the Expanded Universe, but I still believe that the Legends are real.